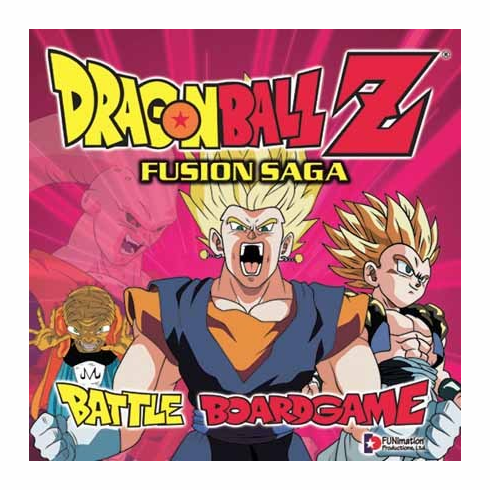 Dragonball Z Fusion Saga Battle Board Game you can play your favorite heroes and villains battling to control the seven Dragon Balls. Power-up. Search for Dragon Balls. And fight your opponents with the best punches, kicks, and energy blasts from the Dragon Ball Z television show. Contents: 4 Character Counter; 4 Plastic Stands; 28 Action Cards; 25 Battlefield Tiles; 4 Power Markers; 61 Damage Cards; 1 Game Board; 2 Dice; and 4 Wound Markers Rules.